Acid reflex refers to the condition in which acid starts in the stomach and leaks up into the esophagus. It can lead to additional symptoms such as heartburn. One of the common treatments is medication which reduces your stomach’s production of acid. Some people need to take medication in the long-term to prevent symptoms while others only need it during flare ups. Acid reflux goes by many names including gastro-esophageal reflux (GER), gastro-oesophageal reflux (GOR), heartburn, and acid indigestion. This occurs if your stomach acid backs up and enters the esophagus leading to a tightening sensation and burning in both the upper stomach and chest. This is common in infants and also common in adults after eating certain foods including acidic, spicy, or fatty ones. What Are the Symptoms & Complications of Acid Reflux? Sour taste. Sometimes stomach acid backwash can lead to a bitter or sour taste in the mouth and it may be joined by a burning sensation in the mouth and/or throat. Heartburn. 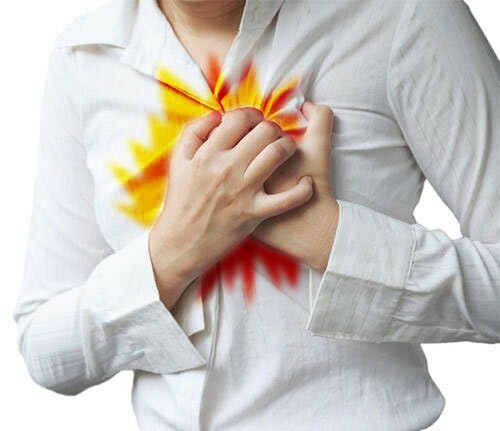 Heartburn (or acid indigestion) is the symptom of acid reflux which is the most common and is a painful burning sensation due to rising stomach acid and is located in the mid-abdomen, behind the breastbone, and in the throat. It usually gets worse when lying down or bending over. Indigestion. Indigestion is sometimes known as dyspepsia and is discomfort and a burning sensation in the stomachs upper middle area. Although it may come and go, pain is usually present and some people also have bloating, burping, vomiting, an upset stomach, nausea, heartburn, or an uncomfortable fullness. Regurgitation. Regurgitation is the feeling of bile, food, a sour liquid, or acid backing up into the throat. It isn’t common but can sometimes lead to vomiting. It is natural in children less than 18 months old. Difficult to swallow. Difficulty swallowing is also known as dysphagia and affects 7 to 10% of those over 50. In this case swallowing will be painful or challenging and it can have many potential causes. Pain in throat. Other common symptoms of acid reflux include a lump in the throat, sore throat, or hoarse voice. Asthma. It is more common for those under 12 to experience asthma symptoms like wheezing from irritating stomach acid but some adults will experience them as well. Dry cough. Some people will have a dry cough instead of heartburn. Other adults may feel the need to constantly clear their throat or feel as if there is a lump in it. While heartburn or acid reflux isn’t usually serious, some symptoms can be similar to those of a heart attack. Therefore seek emergency care if your symptoms occur during physical exertion or with sweating, dizziness, nausea, shortness of breath, or pain radiation from the left jaw, neck, back, shoulder, or arm. If you only notice the symptoms a few times a month, you don’t need to contact your doctor. You can usually use over-the-counter medications and lifestyle changes effectively. If the symptoms are frequent, severe, or require weekly (or daily) use of over-the-counter medications, visit your doctor. What Are the Causes & Risk Factors of Acid Reflux? Your esophagus is responsible for pushing food into your stomach while swallowing. It does so by opening the lower esophageal sphincter (LES; also written as lower oesophageal sphincter - LOS) which is a valve located at that stomach’s entrance that determines whether food can pass. This LES is only open during swallowing and the rest of the time it prevents stomach acids from reentering the esophagus. With acid reflux, the LES doesn’t remain closed, allowing some acids to creep up and cause irritation or burning. Eating a large meal and then laying down right away can lead to acid reflux. Certain foods may also influence it, including spicy foods, mint, garlic, onions, tomatoes, fried or fatty foods, tea or coffee, citrus fruits, carbonated beverages, and alcohol. Smoking can worsen acid reflux by reducing salivation, reducing the muscle function of the LES, increasing acid secretion, impairing throat muscles, or damaging the mucus membranes. The increased hormones and pressure from the uterus can lead to acid reflux during pregnancy, especially in the third trimester. Hiatal hernia occurs if your LES and upper portion of the stomach are above the diaphragm, making it harder to keep acid out of the esophagus. Other risk factors include exercise, taking blood pressure medications, some muscle relaxants, ibuprofen, aspirin, snacking before bed or lying down, eating a large meal before bending over, being obese or overweight. What Are the Treatments for Acid Reflux? Drugs. Antacids are popular over-the-counter drugs for acid reflux as they neutralize stomach acid effects. Alginates create a coating which protects your stomach’s lining as well as the esophagus and work best right after eating a meal. PPIs. PPIs (proton-pump inhibitors) are prescription medications that recue the stomach’s production of acid. They may lead to side effects such as skin rashes, dizziness, constipation, abdominal pain, feeling sick, diarrhea, or headaches. H2RA. H2RA (H2 receptor antagonists) block histamine which is the chemical that your body uses when producing stomach acid. Therefore it reduces your quantities of this acid but can include uncommon side effects such as rashes, tiredness, dizziness, headaches, or diarrhea. Prokinetics. Prokinetics make your stomach empty quicker, minimizing the time in which acid can irritate the esophagus. Some people will have extrapyramidal symptoms which are side effects to the nervous system and can include abnormal posture changes, slurred speech, problems fully opening the mouth, or muscle spasms. If you get those symptoms, immediately stop taking the medication and contact your doctor. Stop smoking. Smoking can worsen symptoms. So stop it right away. Lose weight. Those who are overweight can relieve pressure on the stomach by losing weight. Avoid irritant foods. Certain foods (including fatty or spicy foods, tomatoes, chocolate, coffee, or alcohol) can trigger acid reflux. So it is advisable to avoid them. Eat smaller and more frequent meals. Eating several smaller meals more frequently will help, but be sure that your last one is at least three hours before bed. Raise the head of your bed. Simply raising the head of your bed by 8 inches can help symptoms as well. Simply be sure that if you use blocks or wood, that they are sturdy.